Hi everyone! My name is Nathalie, and I moved abroad from Silicon Valley to Vienna, Austria in 2015 (originally for love. I fell in love with an Austrian! ), and started working for a foreign subsidiary of an international IT company. Initially, I had no idea if I would find a job since I didn’t speak the language. However, with careful planning and determination, I landed a full-time job and acceptance into a Masters Program in IT within a few months of moving. 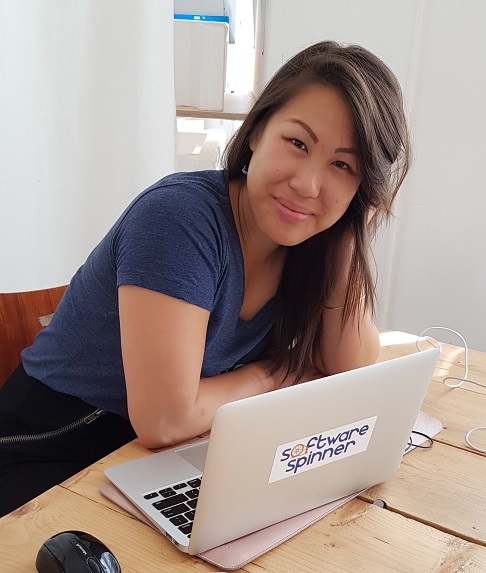 In 2017 I co-founded my own company, Software Spinner, where our mission is to create software products that make life easier for people. MyExpatTaxes is our first product, and something that has a personal connection to me – doing U.S. taxes abroad is a complicated, stressful process for many Americans like me. MyExpatTaxes makes it super easy (and fun, in a way) to get your U.S. taxes done in under 30 minutes.